I found this cute little bird on my Home Decor Cricut cartridge. I have had this cart for a few months, but I only saw this image the other day and I wanted to use it on a card and Kazan's lovely sketch this week at 2 Sketches 4 You provided me with the perfect opportunity. Isn't this bird so cute?? I added a little heart to him with a SU! punch. 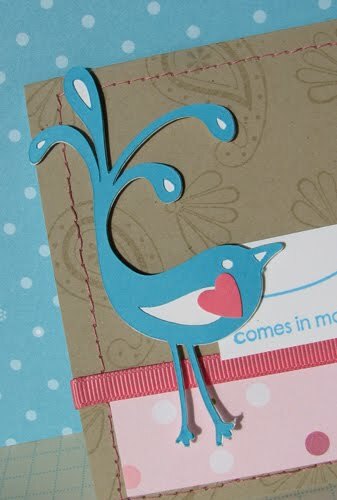 Cardstock, patterned paper, ink, stamps, punch, ribbon: Stampin' Up! 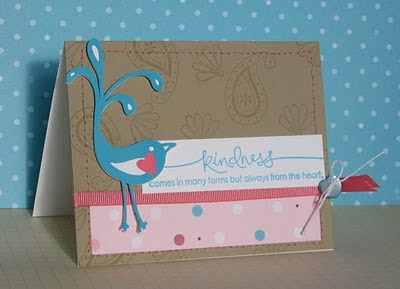 I LOVE that bird....I want that cart just for the bird =) and I love how your card turned out....really really cute!!! My goodness, Amy! This is too sweet! Thanks for joining the fun at 2S4Y!